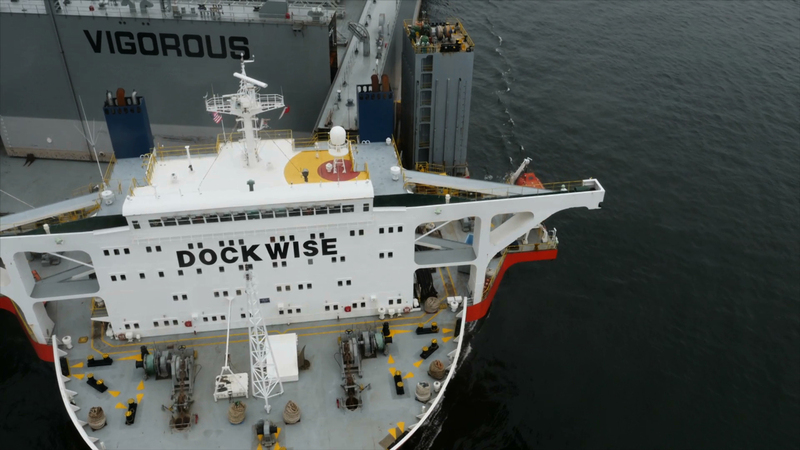 The ‘Blue Marlin’ is part of Dockwise’s fleet of semi-submersible heavy transport vessels. 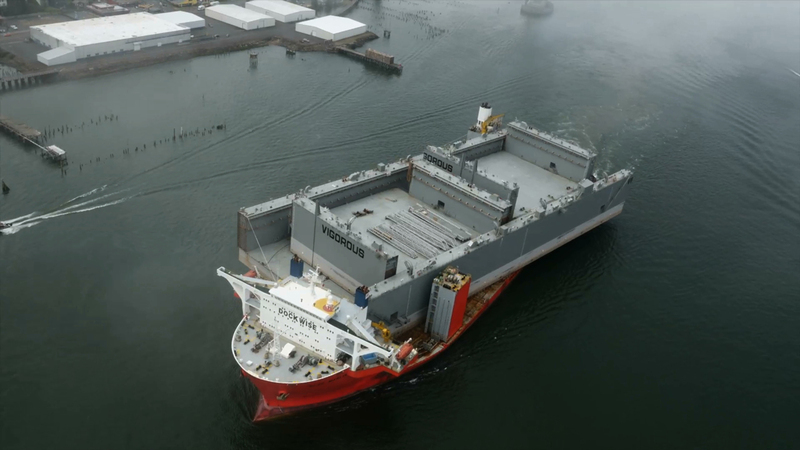 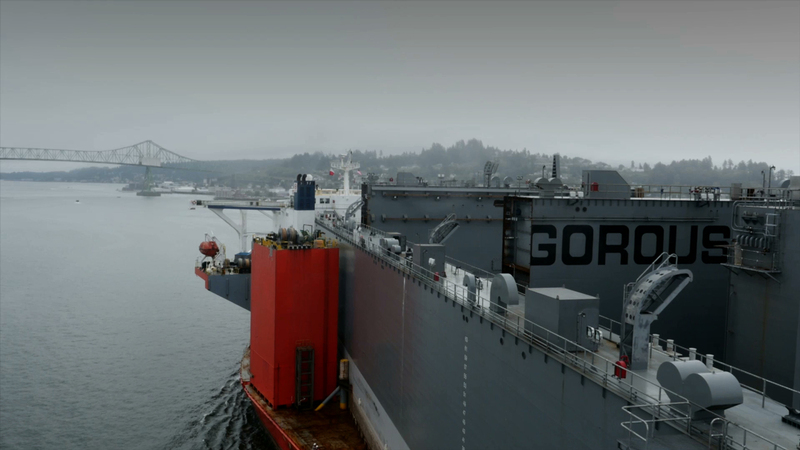 This project video shows the Blue Marlin’s journey transporting a dry dock cargo named ‘Vigorous’ from Singapore to Portland, USA. 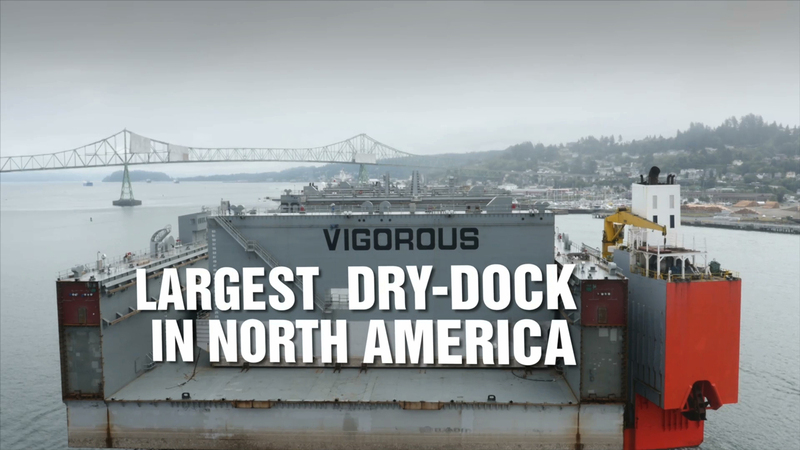 Vigorous is North America’s largest floating dry dock and once assembled will have 80,000-tons of capacity and will measure a stunning 960-feet, which is more than three times the height of the Statue of Liberty. 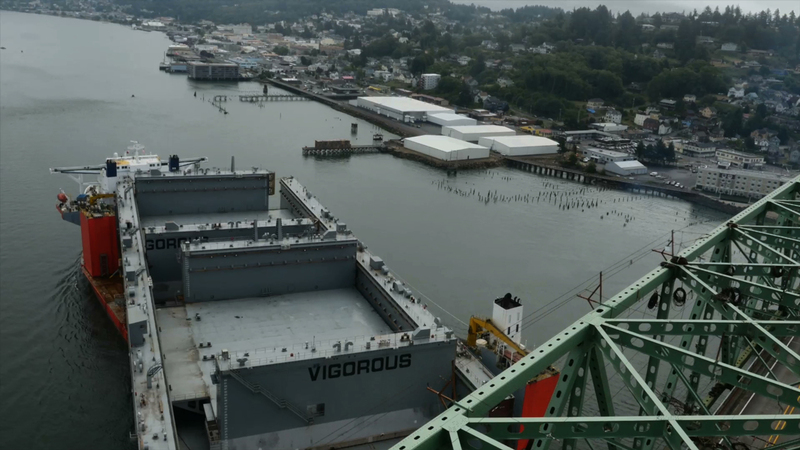 Myriad Global Media’s video production team filmed this incredible journey, which involved negotiating low hanging bridges including the Astoria-Megler and St. Johns Bridge. 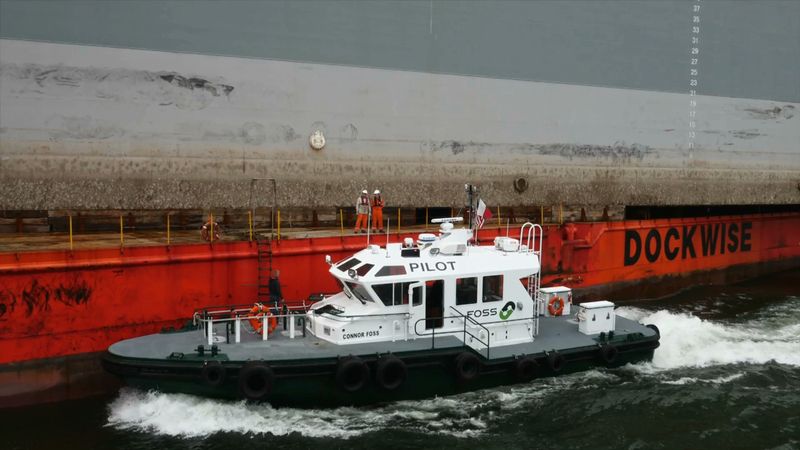 The footage was captured through the use of aerial drone filming, filming from smaller boats around the vessel and at various locations on the ground, with the aim to provide the audience with a film that is varied and rich in visual content.